Authored by VPC Executive Director Josh Sugarmann and originally published by National Press Books, National Rifle Association: Money, Firepower & Fear traces the history and political development of the NRA, from its founding in 1871 “to promote rifle practice” to its transformation into the gun lobby that we know today. Originally published in 1992, the book remains an essential reference work on the modern NRA. It offers not only a detailed review of the political battles that defined the organization from the 1930s through the 1980s, but also pulls back the curtain on the inner workings of the organization. 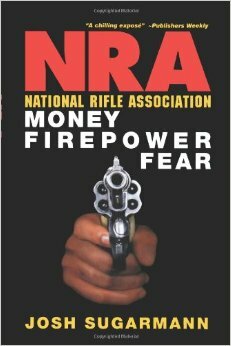 From 1977’s “Cincinnati Revolt” in which Second Amendment fundamentalists led by Harlon Carter and Neal Knox took control of the organization, to a series of high-profile leadership scandals that engulfed the NRA in the wake of Carter’s departure, National Rifle Association: Money, Firepower & Fear offers the definitive critical look at the NRA during this period.